The Holidays are a tough time to be in transition. 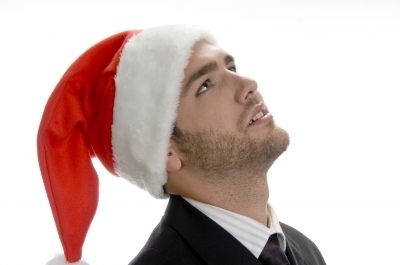 For many people engaged in the job search, the holidays bring on the blues. Why this is the case varies from person to person. There are many reasons: too many things to do, wishing to have a “perfect” season, family issues, and a decrease in daylight. The job searcher experiences these, in addition to looking for a job with little or no success. The blues are often associated with something we do not have, a loved one, time, a job or the perfect family. Many times the things we have lost can’t come back, but we can make changes to deal with the situation. So how does one overcome the holiday and job search blues? There are several ways, and I have listed a few of them here. Planning—When we overbook ourselves and don’t leave enough time to rest and do everything we need and want to do, it puts pressure on us to accomplish everything in a timely fashion. Make a schedule and leave enough time for the unexpected. Part of the pressure is trying to do everything in a short period. Limit Expectations—Martha Stewart has a beautifully decorated home, delicious food, and thoughtful homemade gifts. I will let you in on a little secret. She has plenty of staff to help her; she is not doing it all by herself. You are only one person, and unless you have a staff, you can only do so much. Only expect to accomplish what is reasonable for you. Gratitude—Be thankful for what you do have. Wanting causes anxiety. You have more than many people, so enjoy what you have. When you do you become a more positive Instead of dwelling on what you do not have and wanting more, you are grateful for what you do have. It creates a positive attitude that shows when you are networking and/or interviewing. Express Gratitude—Appreciate the people who have helped and supported you along the way. It is a fitting time to say “thank you.” People will not notice if you do not, but will appreciate it when you do. It makes them more willing to help you because they know you appreciate their efforts and are not taking them for granted. Having peace of mind during this stressful time of year makes the season easier to bear and makes people willing to help you. How you respond to your situation makes a difference in how the blues affect you. The blues range from mild to severe. The suggestions in this article are intended to handle only the mild forms. If you are suffering from a more severe form of the blues, it is suggested that you seek professional help.